With a light Lunch served from 12 Noon – 3PM. Please come along and meet the team! 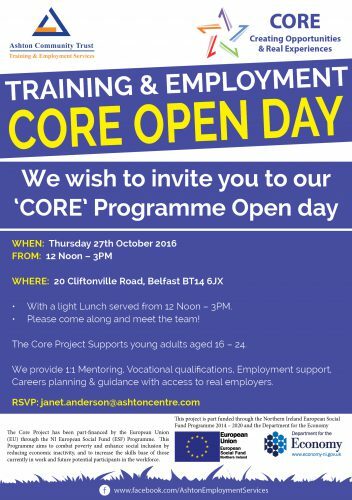 The Core Project Supports young adults aged 16 – 24. We provide 1:1 Mentoring, Vocational qualifications, Employment support, Careers planning & guidance with access to real employers. 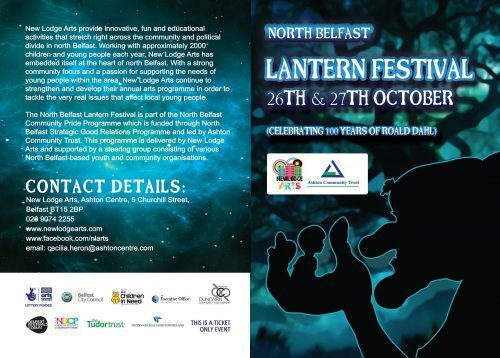 Tickets on sale now for this year’s North Belfast Lantern Festival, available from the Ashton Centre reception. 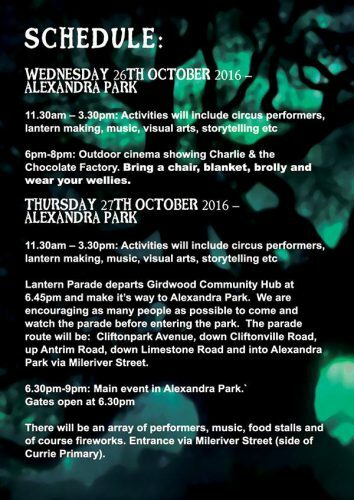 Check out this year’s programme! 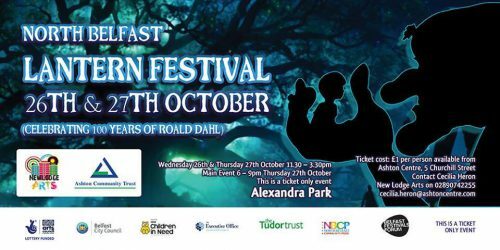 Tickets are £1 each and are needed for entry to the Park on Thursday night only. 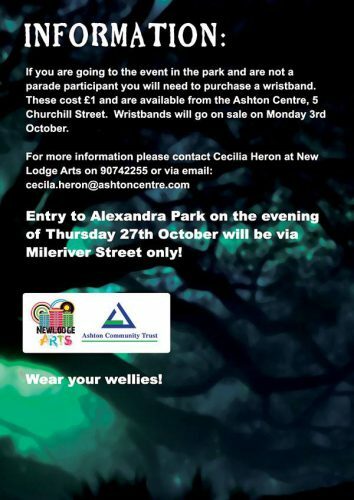 Click on the image for a copy of this years programme. The community family support programme would like to invite you to our coffee morning to introduce the new areas of support available to families within North Belfast. We hope you can attend and take this opportunity also to network with other providers in the area.